Some essential criteria that eLearning professionals should take into consideration when they choose a web conference service. Today online learning gains more and more popularity all over the world. People argue whether it’s a good phenomenon or not. But we can say for sure that one thing is completely true – it’s very, very convenient, especially if we imagine the enormous speed of modern life and how much time and money we save studying online. Undoubtedly, there are certain drawbacks in studying online in comparison with offline. That is why so many developers do their best and invent convenient tools for eLearning eliminating all disadvantages and making it as effective, as real-life learning. And, as a result, we have a wide diversity in the sphere of web conferencing software. First and foremost, it’s the quality of the connection. No training is successful and effective if the connection is interrupted all the time. Learners lose interest very soon, get bored, and irritated. As a consequence, they do not comprehend the essence of the provided information and may not even finish the online training. Sometimes, the connection is not bad but there are certain problems with the video and sound quality. Learners and trainers should be able to hear and see each other perfectly. As a blackboard and chalk/marker in a classroom, in eLearning, we use whiteboard and drawing tools. In fact, these are some of the essential parts of each online class. They should be included in any web conferencing program that is chosen for online training. These interactive tools allow participants to demonstrate their ideas and ask questions visually illustrating them. During a class, a trainer can mute participants and allow them to talk when they are asked only. However, over the course of training learners may come up with brilliant ideas that are worth to be shared with others. For this purpose, they can use a chat, where they are free to bring some relevant examples, write own ideas about the discussed issues or just to tell others appropriate jokes. And all this do not interrupt the speaker and do not annoy others who are not interested in particular information of the chat. It’s a great tool that makes the atmosphere more informal and unifies the class. It allows exchanging ideas between participants not interrupting the entire process. To make an online training effective, eLearning professionals should choose a program with a simple interface. It should be easy to use to ensure more productivity without wasting time on the adaptation to the tool. Not a crucial part but also important. 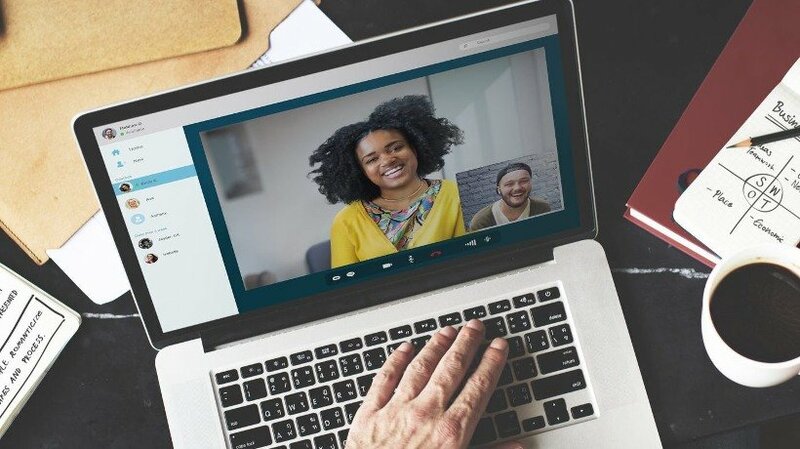 To choose the right web conferencing service for their particular training, trainers should pay attention to the number of allowed participants. Some programs have an excellent interface, connection, interactive tools but are made only for a limited amount of people. Online training may include a different amount of materials for presentation. So, observing web conferencing services eLearning professionals should take into account this criterion as well. There should be enough disk space for their learning materials. Almost all web conferencing programs have several options with different prices, features, an allowed number of listeners, etc. So, trainers may choose the one that is most suitable for their online class. Also, it’s possible to rent a service by SaaS-models (that should be paid repeatedly) or a one-time version (that is paid once and used multiple times). If you hold online classes regularly, then the second option is the best for you. You can customize rooms, upload all materials once only and use them further, not waste time doing the same actions. The majority of such services have an option of recording the event. That is a great feature because you do not need to hold the same class multiple times, but just record it once and send to learners. It’s especially useful for large companies that organize training of their employees in different branches with a different location. Obviously, they save plenty of money and time distributing recordings of their training through the staff. Also, these recordings are very valuable in terms of promotion and advertising. They may be divided into parts or used fully as a video content in various directions: social networks, landing pages, promotional letters, and articles, etc. Generally, each eLearning event varies, as well as all existing web conferencing software has diverse features and tools. So, it would be great to use free trial provided by the most of these services. In this way, you will definitely make the right decision knowing for sure which one is the best for particular training.